Few would know it, but Australia's largest juice brand comes from a real place in South Australia; Berri a famous fruit growing region. 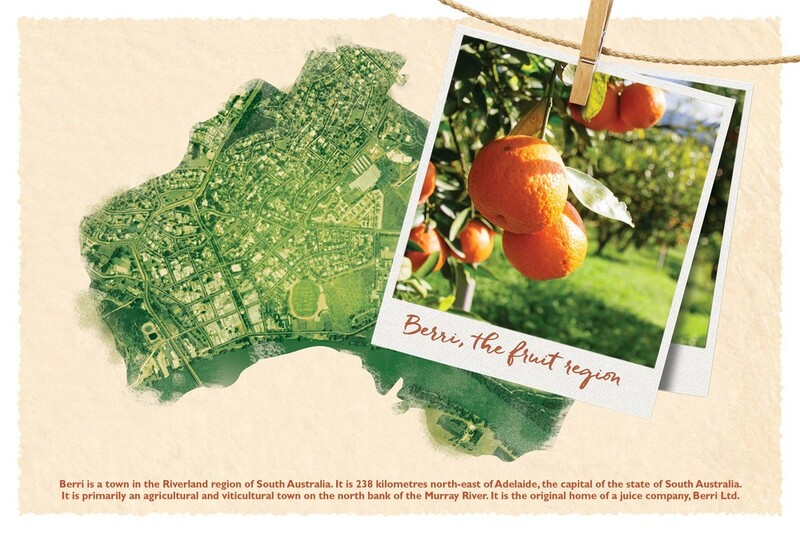 Berri geographically lives in the heart of one of Australia’s most famous fruit growing regions. 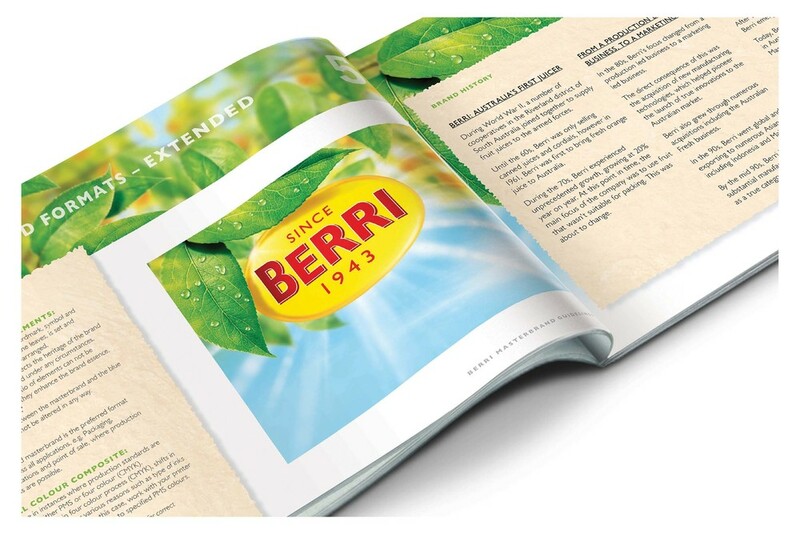 Like many brands that get caught up playing to generic codes of convenience, Berri too had unwittingly adopted the codes of fast food, when underneath it’s always been a product of nature, though it had seemingly forgotten that. Berri’s visual language lived in the code of fruit flavoured lollies and as such felt incredibly artificial. Within our strategy phase, we landed that ‘the fruit closest to the source is the freshest/best’ and this was the driving idea behind the redesign to . Taking the marque closer to source. This made sense as we came from a famous fruit growing region, our origins as a brand are simply about harvesting fruit from a tree. This is a powerful story told against a backdrop of consumer suspicion and tension with mainstream grocery brands. The identity and packaging work introduced a colour into the palette, and that is the green of nature. 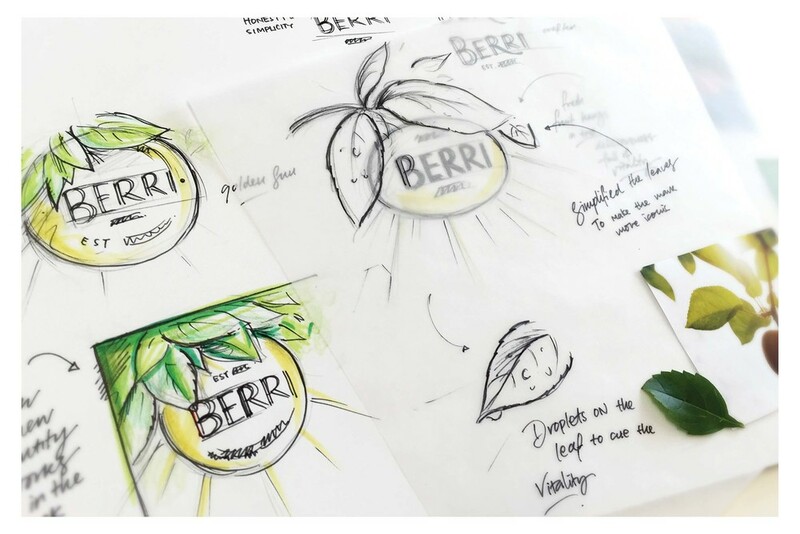 The new Berri identity had to work on a very large group of product ranges that are diverse in regards to the end consumer... the glue becomes the simple truth locked into the new overall identity.